When mounting the rafters, specialized mounts are used. These fastenings help houses built of wood to change their geometric shape, but at the same time keep the roof structure in good condition. Such a change in the geometry of the structure can be observed during the process of its shrinkage or various weather extremes. These mounts form a sliding support for the rafters, the use of which is simply necessary in the construction of wooden structures. 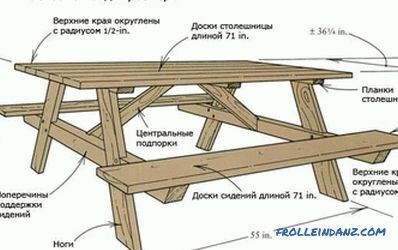 The scheme of the sliding support for rafters. The use of such support elements is necessary. Sliding truss system prevents the destruction of the house during its various deformations. 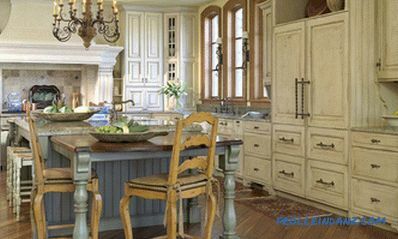 It is applied regardless of what kind of wood is selected (in the form of a log, bar, carriage, etc.). The exceptions are dwellings for the construction of which glued laminated timber was used. As a result of the deformations or shrinkings that occur, the elements of the truss system located at the junction of the ridge rotate relative to each other. In addition, the mounting rafters makes a circular motion along its axis and moves relative to the wall on which it is supported. Sliding fastenings of the truss system in the process of their movement create gaps on the walls of the building, therefore their design should be designed for the action of such loads. To ensure their performance, the sliding bearing has no support with guides. 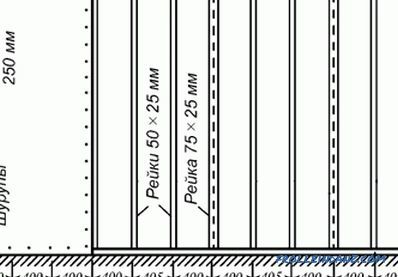 Drawing shrinkage of the slide bearing. Similar throats are used in the case when the walls of a wooden structure do not experience spacer stresses. This creates a reliable connection of the elements of the whole structure. This will prevent the roof from breaking in the presence of strong winds. More recently, a similar problem was solved with the help of special twists, which were made of baked wire. With the help of this wire, the feet of the truss system were attached. 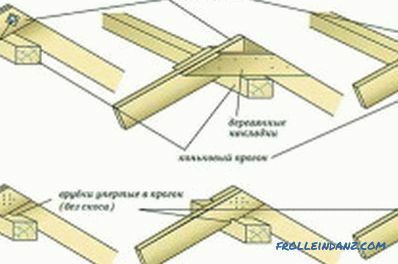 The open system of rafters is made of 2 elements: a guide and a curved plate. 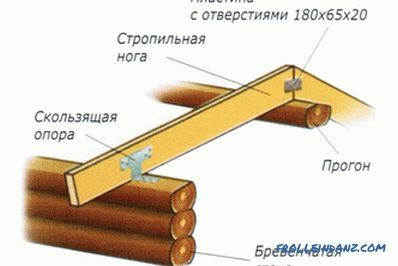 Their fasteners are carried out to the beam and a special element - the mauerlat. During the shrinkage of the dwelling, the rafter will slide along the guides, and the plate in the construction will not allow the truss legs to come off the power plate. In order for this plate to have a reliable connection, a special circular plane is prepared. It is installed so that the rafters can make a move along the entire length. 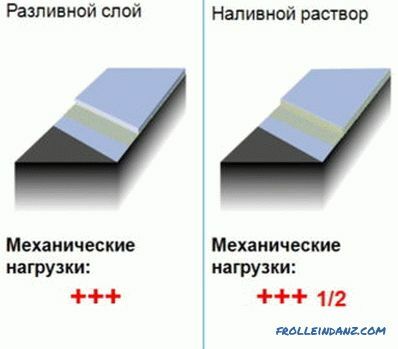 In the event that the roof slope has a small slope, you can use only one mount. On steeper slopes, use double-sided devices. 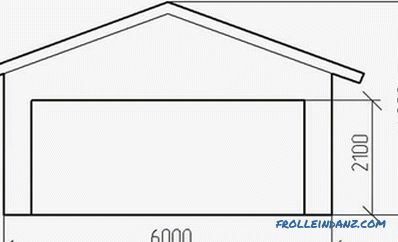 When the building has a roof, which has a rather large length of slopes, in order to perform reliable mounting of rafters, it is necessary to form special stops, which are made additionally. Among such stops there should be various racks, struts and braces. At the joints of these stops, special slippers should be installed. 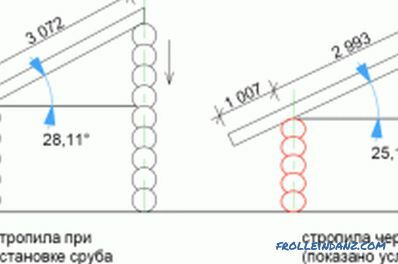 When using supports of a closed type of action, their connection will have a slight difference only in the method of their installation between the various elements of the roof. If, when using open elements, the slide plate has just a small bend and allows it to be mounted separately from the guides, then in the closed one this happens in a slightly different way. A closed slide does not have the ability to disassemble it into separate elements. Its assembly and installation are carried out entirely. Movable roof fasteners are made only from high-alloy stainless or galvanized steel using the stamping method on special presses. Different suppliers use different parameters in their designs that can be used for their operation. The magnitude of their stroke can vary in the range from 50 to 170 mm. In addition, at their ends can be from 2 to 4 holes, which can be used as fasteners. At the ends of the plate can be from 6 to 8 holes. All parts are assembled using self-tapping screws, which must be made of galvanized steel. The use of such materials will prevent the occurrence of rust. Rust and various types of corrosion can cause souring of the entire structure. Accordingly, the effectiveness of its work will be reduced to zero. The use of such fasteners greatly simplifies the process of mounting the roof and increases the efficiency of its work. Moreover, the cost of the elements of the sliding system is rather low, which makes it possible for its mass use.In addition, the roof, which has a sliding support for rafters, will be very stable and will not collapse. 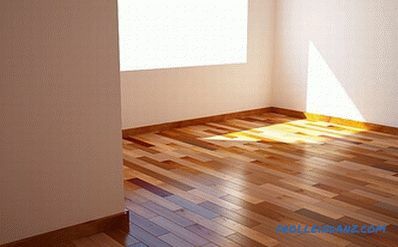 Recommendations for how to pour the self-leveling floor onto the wooden floor with your own hands. Tools and materials needed for work. Preparation of the basis for filling by solution.